Kanye West's new album "Yeezus" might have leaked and spread across the Internet before the performer wanted, but Jay-Z has a more strategic plan to get his upcoming album out to the Web before the official launch. On July 4, his new album "Magna Carta Holy Grail" will be released, but not through the usual online and physical music stores. It will be released to a million people who didn't even know they had bought the album -- that's because Samsung has bought it for them. One million Samsung Galaxy S3, S4 and Galaxy Note II owners will get the album 72 hours before it is available to everyone else. Starting on June 24 users will be able to download the "Magna Carta Holy Grail" app via the Android Google Play Store then on July 4 if you were among the million chosen the free album will appear in the app for your listening pleasure. Samsung says that the million chosen will have to have already download the app. The app will only be compatable on the select Galaxy S3, S4 and Note II phones and won't work on other Android phones, says Samsung. The company hasn't released numbers on how many of those three phone models have been sold, but in May it announced it had sold 10 million of its new Galaxy S4. For those who aren't selected to get the full album, the app will also have an "unprecedented inside look into the album, personal stories and inspiration." Samsung has reportedly paid $5 for each album, totaling $5 million for the exclusive. It also means Jay-Z has sold a million copies before the public has heard a note of it. But since the Samsung marketing deal was announced on Sunday night during the NBA Finals over 5 million people have heard a teaser of the album. 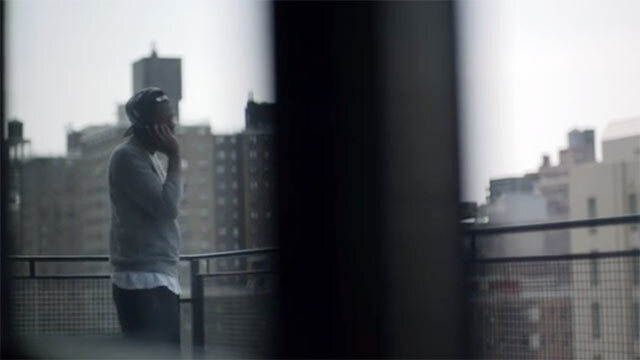 A video which ran first during the basketball event and then was posted to Samsung's YouTube channel, which shows Jay-Z collaborating with others in the studio, has made its way across the Facebook and Twitter. As of today, 5.3 million people had watched it via YouTube. The sharing of that video and the app is all part of the strategy. "The Internet is like the wild, wild west. We need to write the new rules," Jay-Z says in the video. Owners of the app, though not the album, will be able to share it with other Galaxy S phone owners via Facebook, Twitter and S Beam, Samsung's tap-to-share feature. Some fear that it will lead to illegal downloading and sharing of the album as only those with specific Galaxy phones will have access to it on July 4. However, Jay-Z seems to be very clear on those ramifications. "The idea is to finish the album and drop it," Jay-Z says in the video. "Giving it to the world at one time and letting them share it and it goes out."